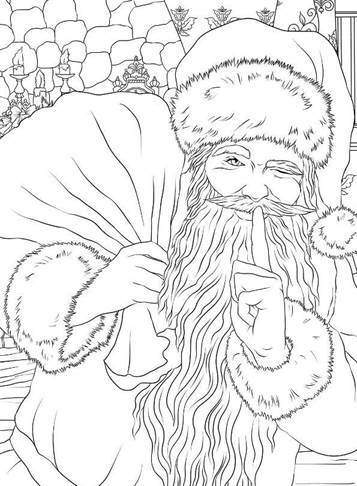 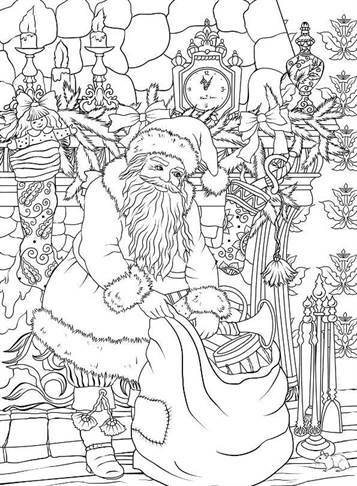 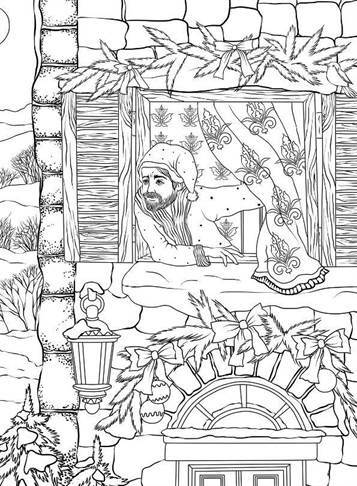 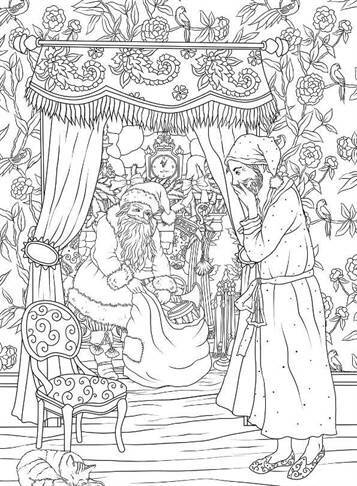 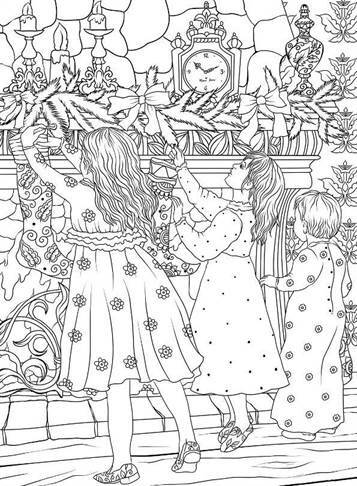 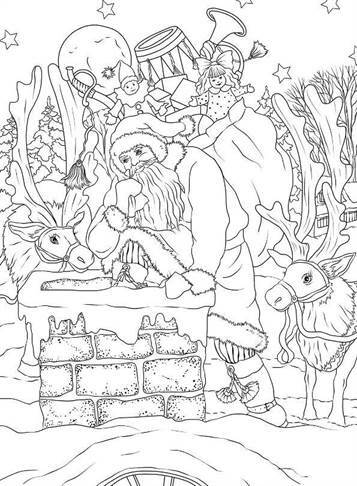 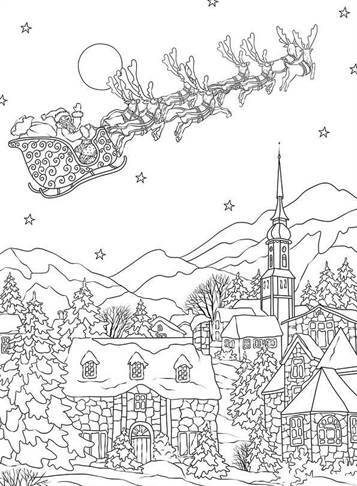 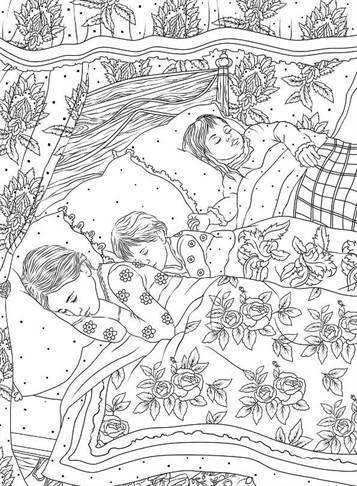 Beautiful, traditional Christmas coloring pages. 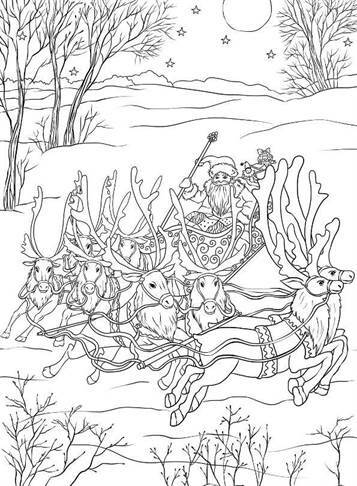 Also suitable for the older enthusiast. 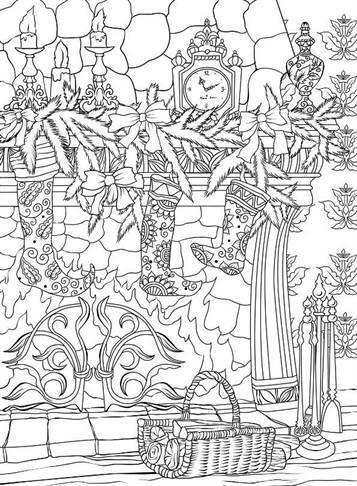 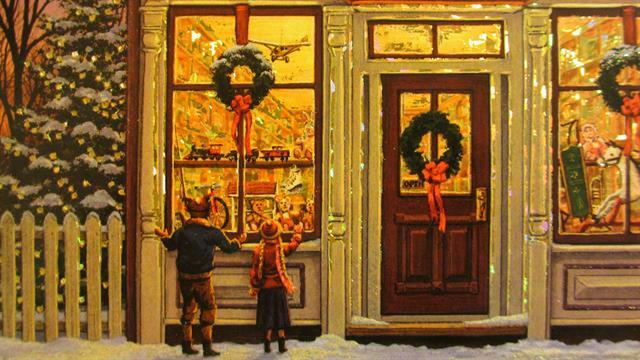 Nice nostalgic drawings, winter scenes, in front of the chimney with the stockings, fireplace and children who get nice presents.